Auctioneer Sotheby’s could make as much as US$25 million from its autumns sales, with a series that features the most expensive bottle it has ever offered. Taking place in London, New York and Hong Kong, the sales follow on from a record-breaking H1, when the fine wine department’s sales topped US$57m. Featuring fine wines such as the Domaine de la Romanée-Conti collection from Domaine Drouhin, ‘historic’ vintages of Latour and a bottle of 1926 Macallan with the Sir Peter Blake label – which has the highest estimate ever placed on a bottle of wine or whisky at Sotheby’s – the autumn sales series has been described as “the strongest and most diverse range of wines since Sotheby’s started offering wine in 1970,” said worldwide head of wine, Jamie Ritchie. With this series of sales, it is an absolute certainty that Sotheby’s will exceed its US$64m results from last year and there are still winter sales to come. Two sales in London being held in the morning and afternoon of 19 September have the potential to realise almost £3m (US$3.6m) and include 1989 Petrus and Haut-Brion and 1963 Quinta do Noval Nacional. In Hong Kong, three sales being held from 29-30 September could make as much as HK$105m (US$13.4m) with highlights including, 1961 Latour and various vintages of Cheval Blanc and DRC. The three New York sales from 12-13 October and 10 November includes the Drouhin DRC collection and 1926 Macallan and could make as much as US$9.9m. Ritchie commented: “Following our record-breaking first half sales of $57 million, our early fall season showcases over $25 million of the world’s most sought after wines and spirits – the strongest and most diverse range of wine sales since Sotheby’s started offering wine in 1970, which puts us on track to have one of our best years ever. “It is a privilege to be entrusted with the sale of five outstanding private collections, all of which have exemplary provenance. 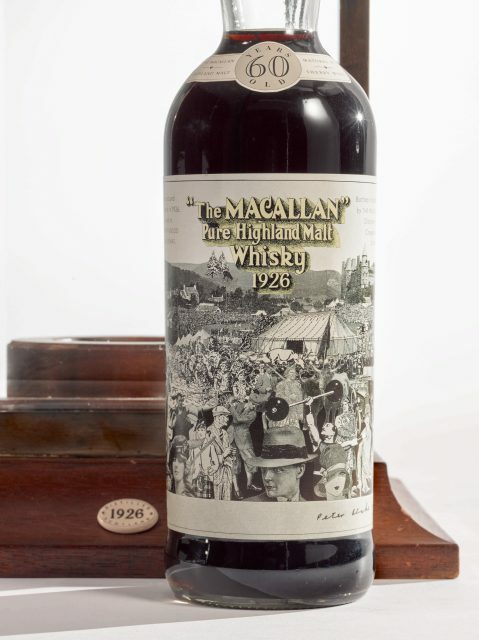 This season, buyers have many unique opportunities, as illustrated by the 200 bottles of historic DRC on offer from Robert Drouhin’s private cellar, as well as a bottle of the legendary Macallan 1926, with the British artist Sir Peter Blake label, one of only 12 bottles produced. Click through to see a quick breakdown of each sale taking place this autumn.